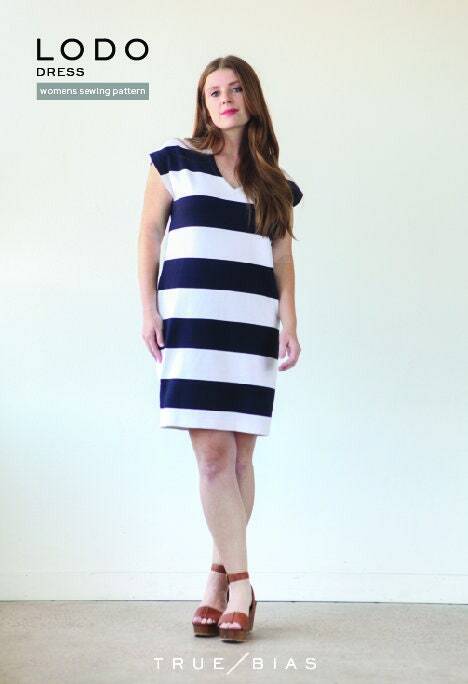 "The Lodo pattern is an elevated take on a basic t-shirt dress. 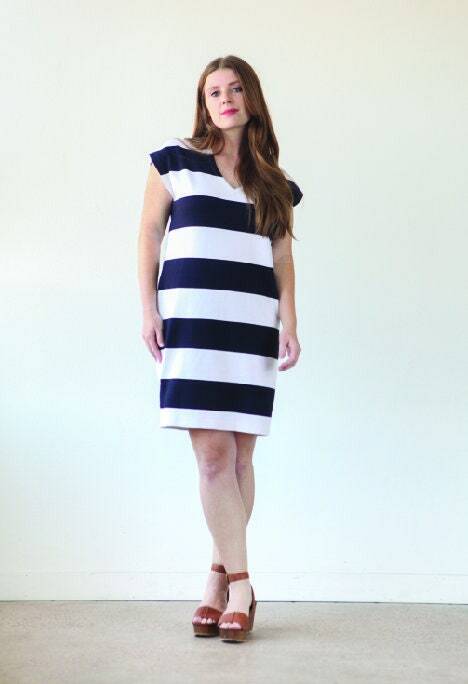 It has a straight fit through the waist and hips and a slightly tapered hem to create a subtle cocoon shape. It has a flattering deep V neck at center front and an extended cap sleeve. 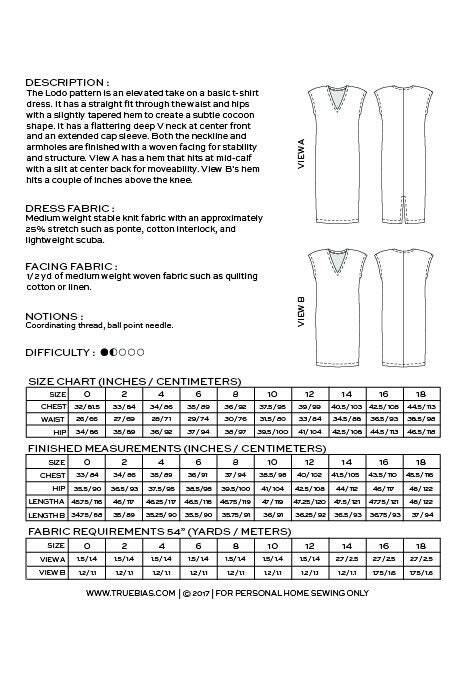 Both the neckline and armholes are finished with a woven facing for stability and structure. View A has a hem that hits at mid calf with a slit at center back for moveability. View B’s hem hits a couple of inches above the knee."